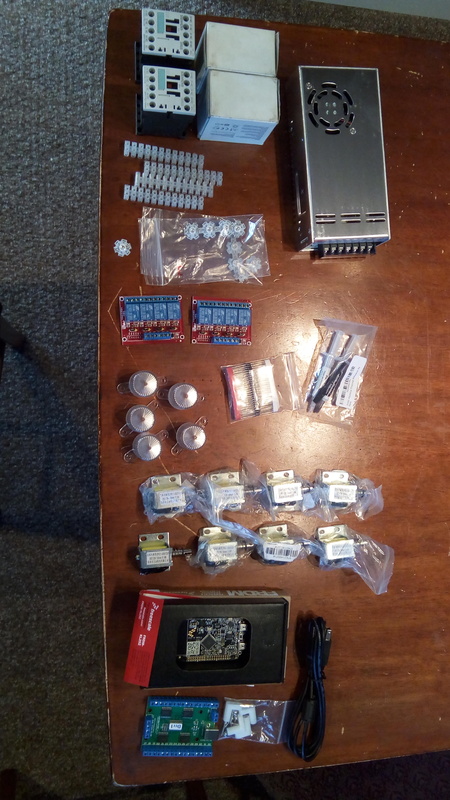 Misc diodes, wiring, aluminum bar, etc. So.... How to connect it all up? Originally was going to use the 8 channel sainsmart to connect up the 8 playfield solenoids, then use the LEDWiz for the flipper contactors and LED's as well as the 4 button lamps. Finally use one of the 4 channel relays (along with LEDWiz) for the 120v beacon. However, would it make more sense to put the contactors for the flippers on the sainsmart for less of a "delay"? Also in all of this, I'd like to be able to go "silent", so just kill the power to the 12v power supply to do that? Or do you do this in software typically? Also, I know I'm missing things like shakers but not too interested in that, BUT I've heard of others using something called DMX strobe? Looks cool in videos I've seen on youtube, I just don't know what that is, or how it works. I'm also not putting in strobes near top of playfield, I feel those will blow out the display too much. Perhaps I should get some and attach them on the back, or top or something? Any advice is much appreciated - even more so if it's good advice! !